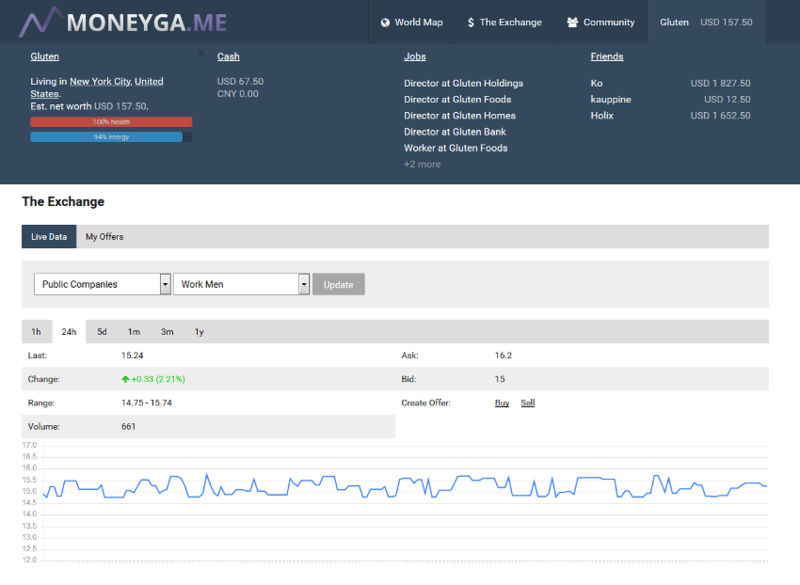 Join this free browser-based business simulation game and manage your own company, trade stock, speculate currencies and much more. 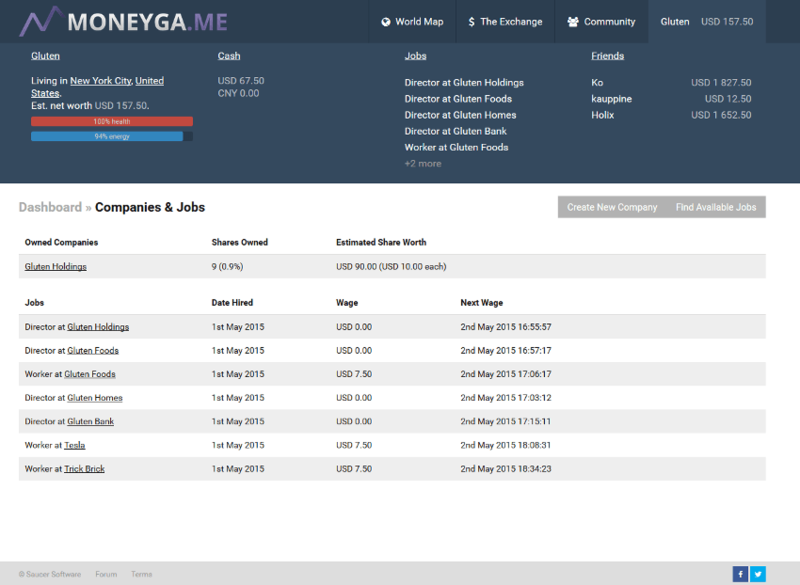 The game features a realistic, fully player-driven economy. 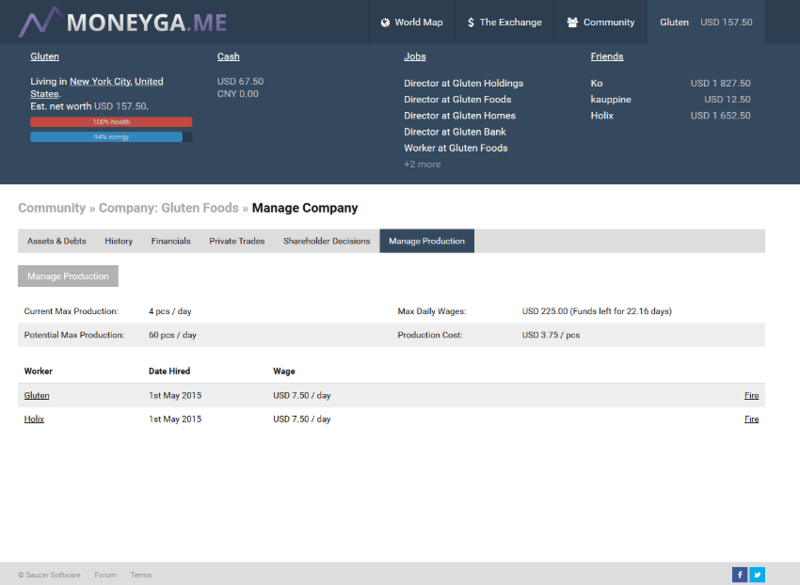 Create, trade and manage companies. 10 different company types including banks, holding and resource production. 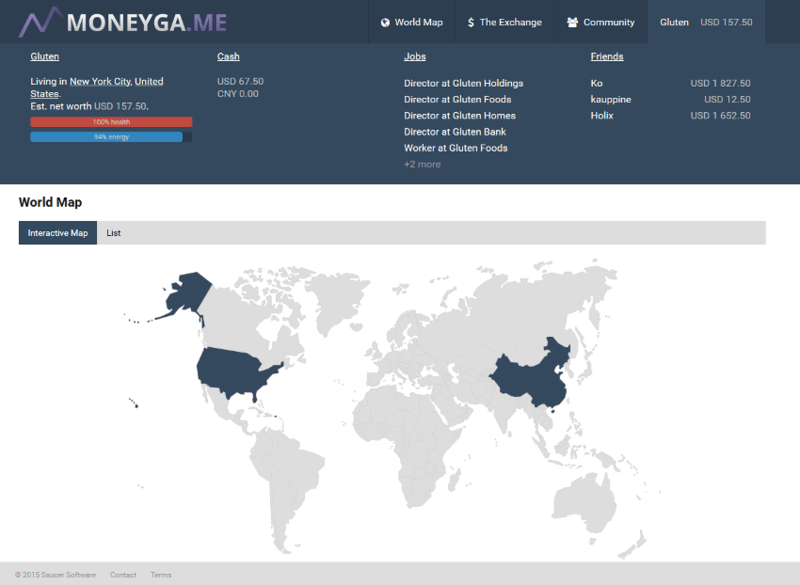 Invest in public company shares, resources and floating currencies via The Exchange. Features a selected set of countries and cities on a map, where you can locate your apartment building or retail store. By registering you accept our Terms.